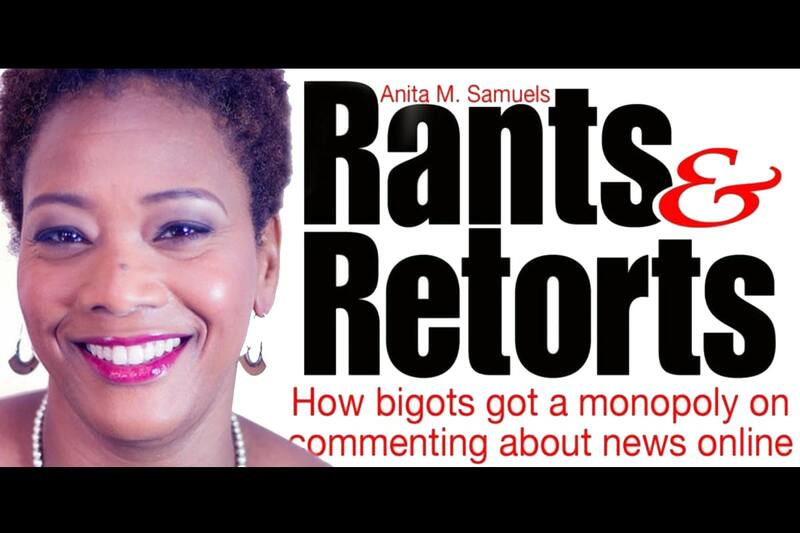 In conversation with author Anita M. Samuels discussing her book, "Rants & Retorts: How bigots got a monopoly on commenting about news online". "Rants & Retorts" is a provocative exploration of the way in which reader comment sections — created to foster the free flow of ideas and opinions on the news of the day — have spiraled downward into what many journalists call “cesspools” of racism and bigotry. Samuels will be signing copies of "Rants & Retorts," which will be available for purchase at the event. Anita M. Samuels is a nationally acclaimed journalist and critic who writes about media, fashion, music, and culture. A frequent contributor to The New York Daily News, Samuels began her career on the staff of The New York Times Style Section, where a number of her features about the African American community earned her an award from the National Association of Black Journalists.